This week, working parents learned the hard way that when school is abruptly canceled, it's tough to figure out what to do with your kids—other than to call in sick to work. Certainly you'd like to keep your job, so here are programs across the city that offer drop-off childcare, from a few hours to a full day, so next time school is canceled due to weather (and surely there will be a next time) or for any other reason, you can still go to work. The Y's School Days Out Program's instructor-led activities range from arts and crafts to sports. Prices vary, so contact your local center. The Irving Park, Lakeview, McCormick Tribune, South Side, Naperville, Des Plaines, High Ridge and Downers Grove YMCAs all participate. Bright Horizons and Chalk preschool offer emergency drop-ins at some of its centers for infants to pre-K kids Find your closest location as rules vary whether it's a benefit from your employer or open to the community. When school is a no-go, JCC offers "vacation days" for kids 5-11 years old in Chicago, Skokie and Northbrook. Sports, swimming and tons of creative programming will make your kids truly feel like they are on vacation. Depending on the location and time of year, the group may also go on nearby field trips. Although you may have to skip the workout this time around, select Lifetime Fitness gyms offer programs—half or full day—when your kids are on a break from school as part of its Snowonder program. Call your local gym for details; you must be an existing member. 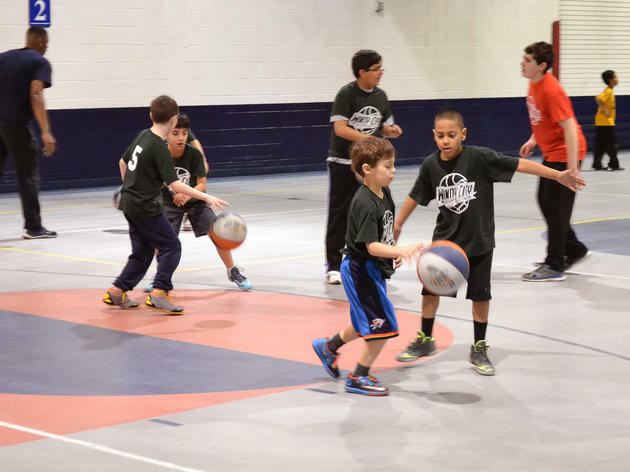 If your kids are sports fanatics, they'll love missing a day of school to attend one of these cold-day sports camps at Chase Park (indoors, of course) for a day filled with soccer, basketball, capture the flag and more. They also offer camps for other days off like President's Day and winter break. On Thursdays, this Bucktown playroom partners with Urbansitter for on-demand drop-off services. The downside is that you have to book your time slot 48 hours in advance, but if the weather forecast is spot-on, you'll be a step ahead. Time slots are limited to two hours, though, and costs $25 for one child and $30 with siblings for first-time users. For all following visits it's $35 and includes a child and up to two siblings. 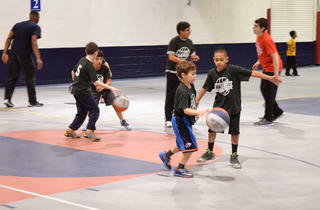 If your kids are a little older and can manage a few hours alone, Windy City Fieldhouse offers drop-in open gym hours in a variety of sports from volleyball to basketball. Available times change each week and can be found here. This Logan Square artistic community began running a special edition of its kids arts camp during the CPS teachers' strike years ago and have continued to run it when CPS is out of school for scheduled days, as well as for emergency snow or cold days. The program runs from 8am-4pm and includes three classes that may include storytelling, hip-hop dancing or theater. Between the classes is relaxed playtime as well as lunch and two snacks. The program is available for grades K-8, but the majority of participants are generally 4-11 years old. The program is pay-what-you-can but the average price per day is $55. Samantha is Time Out Chicago's kids contributor. When she isn't telling you fun stuff to do with your kids, she's trying to find ways to entertain her own. You can follow her on Twitter @thepetitefilet.